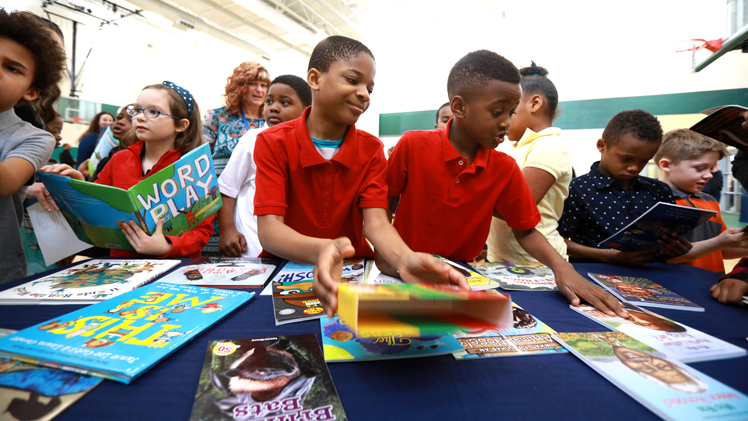 Women & Philanthropy and the Judith Herb College of Education at The University of Toledo are donating approximately 1,000 books to Toledo Public Schools. The books will be distributed to 33 second-grade classrooms at 19 TPS schools. As part of its 2017 Holiday Project titled “Encouraging Early Literacy,” Women & Philanthropy partnered with the UT Judith Herb College of Education to raise funds to provide scholastic books for elementary classrooms in TPS schools. Women & Philanthropy will continue to raise funds throughout 2018 with the goal of donating books to all second-grade classrooms in each of the 40 TPS schools this year.